All central and state govt. employee can see their PRAN statement online through cra-nsdl.com. It is very simple. 1. Log on to cra-nsdl.com. A window as shown below will open. 2. 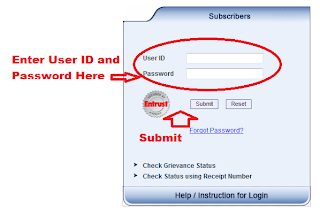 Enter User ID and password Below "Subscribers" as shown above. 4. A new window will open, where you can see your personal detail, account detail and much more. 5. 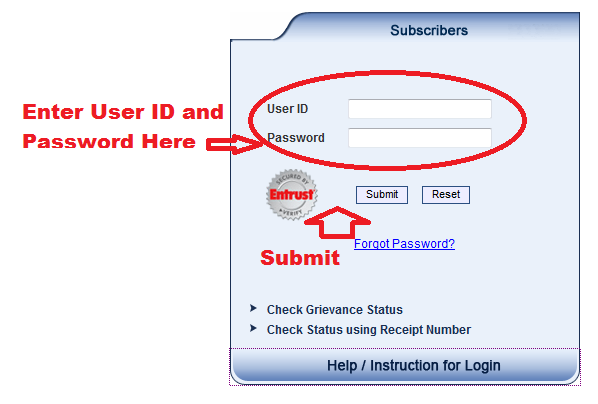 You Should read Help/Instruction for login Before first login for security purpose and other important instructions. CLICK Here To See Your PRAN statement.